Makerbot Replicator 3D printers now shipping in 30 days or less! 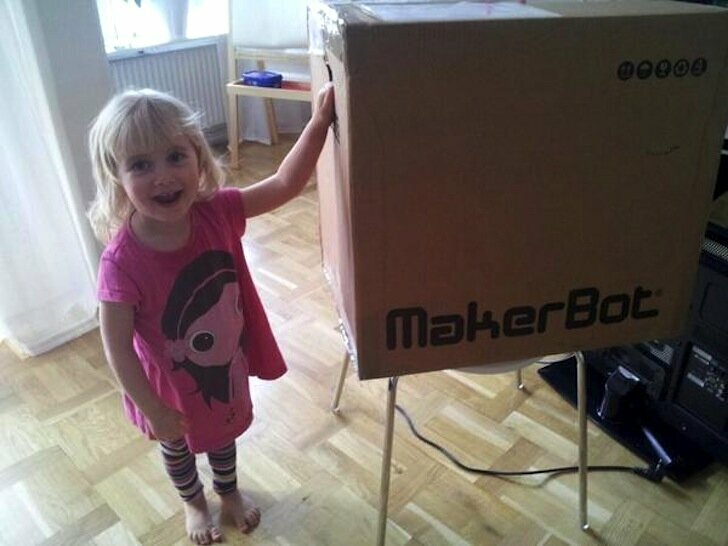 We know kids are getting into 3D printing at early ages, but this is incredible! One of the discouraging things about ordering a personal 3D printer is that once you get excited enough to place your order, then you wait, and wait. Often months. Even though we are quoting a 30-day lead time, we are shipping sooner than that in many cases. In fact, last Thursday, for the first time in company history, we took an order and shipped a MakerBot in the same day.